Game Systems | The Engines Cannae' Take It! 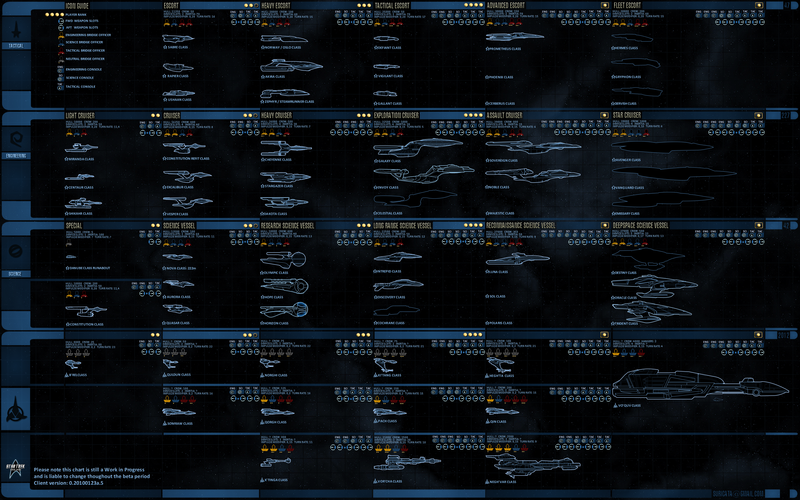 Status Window: Improved the ship stats that are displayed on the status window. But what it means is that a whole range of previously hidden stats are now visible in-game, and update according to your power levels and captain’s skills. Given the amount of time it’s been taking me to work some of these things out the hard way (with stopwatches, copious pages of scribbled notes and endless testing), this should make finishing the article I’ve been working on for a while much, much easier. Hopefully I’ll be able to get it done in the next few days, even with the potential changes in my current situation. I’m currently working on the research for a new article covering several aspects of starships in STO, and how they’re affected by the ‘Captain’ skills. As it’s been fairly slow going so far, I thought I’d share some initial results on the relationship between speed and defence in space combat. In the following tests I took a Tier 2 Science Wessel and circled constantly while two even-level (Lt Commander-1) Birds of Prey attacked. I logged 3-4 minutes at each speed, then used a log parser to compare the hit rate of their Disruptor Turrets (the only weapon that they fired enough times for a statistically significant result, although their other weapons tended to have around the same hit percentage). It seems fairly clear, then, that the speed you’re travelling in space combat can have a pretty significant impact on how often you’re going to get hit. I’m planning to do some more testing with different ship types and opponents, but I thought these were interesting enough results to post them in the meantime. 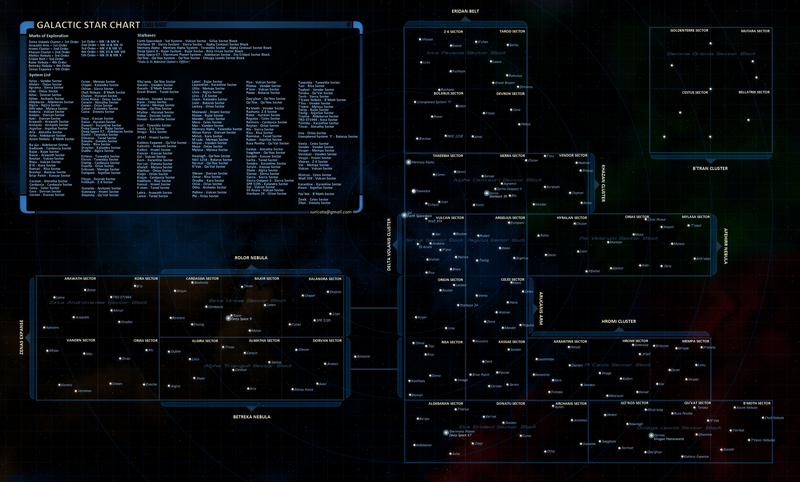 As an aside, the testing really brought home to me just how trivially easy PvE space combat is right now. In over 20 minutes of constant firing, two even-level Birds of Prey were completely unable to dent the shields of a Tier 2 Science Vessel with common Mk II gear running at 65 shield power. I didn’t even need to rebalance the shields, let alone use any abilities. It also highlighted that the AI seems to be completely incapable of lining up shots with Dual Disruptor Cannons, rarely getting off more than three or four shots with these weapons in each 3-4 minute test. There’s some interesting and useful stuff in both of these threads, and I’d like to thank their respective authors for the work they’re doing on these aspects of the game system. The latest instalment of ‘Ask Cryptic’ was posted to the official STO website last night. Following the announcement of the skill point cap and the Al Rivera Talks Skills article three weeks ago, Ask Cryptic: Skills answers a few of the many player questions that had been posted to the sticky thread on the official boards. As much as it was nice to see that one of my questions had been picked, I have to say that I’m not entirely convinced by the answer, and have some concerns over the changes mentioned in response to another of the questions. Something that seems to be coming up a lot on the boards at the moment is the way that resistance bonuses are calculated and the belief that this leads to diminishing returns. This isn’t actually the case. For example, if you have a total +50% phaser resist bonus, your phaser resistance will be 33.3% (1 – (1 / 1.5)). If you have a total +100% phaser resist bonus, your phaser resistance will be 50% (1 – (1 / 2)). Certainly seems like diminishing returns, right? So, if a ‘+X% resist’ bonus just increased your resistance by X%, you’d be getting exponential returns. The formula doesn’t give diminishing returns, it converts that exponential return into a linear one. For example, with a 50% bonus, you get 33.3% resist, which means it’ll take 50% more damage to destroy your hull. With a 100% bonus, you get 50% resist, which means it’ll take 100% more damage to destroy your hull. The thing to remember is that the resist bonuses listed on items like certain engineering consoles isn’t the percentage of resist the item will give you, it’s the percentage of additional damage the item will let you take. You are currently browsing the archives for the Game Systems category.